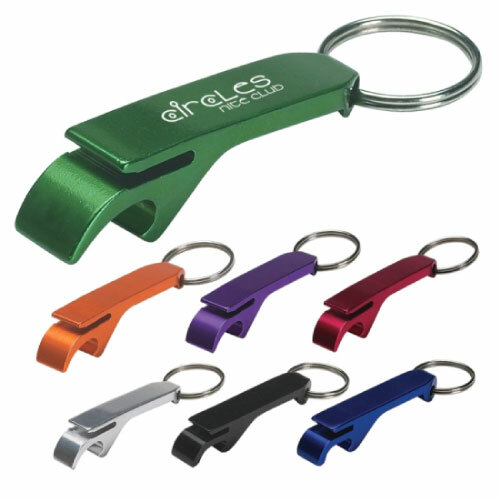 This aluminium metal opener keyring is capable of opening ring pull pop top cans and crown seals. Your logo or message will leave a lasting impression laser engraved in a silver finish. To view our other Keyrings, please click here.